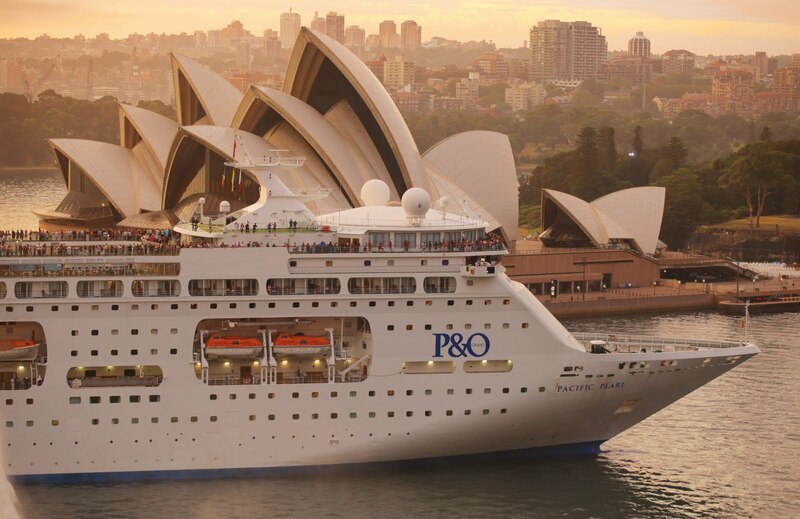 Sydney has kicked off one of its busiest ever cruise periods, with the arrival of P&O Cruises' latest superliner Pacific Pearl in Sydney Harbour this morning. Pacific Pearl's maiden visit to Sydney marks the first of 27 ship visits to the city by 21 different ships over the 28 days of February during Sydney's biggest ever cruise season. Other maiden visits during the month will include the first Sydney call by Seabourn's ultra-luxury ship Sojourn this Saturday (February 5) and the inaugural Australian visit of Cunard's new liner Queen Elizabeth which will hold a Royal Rendezvous with her big sister Queen Mary 2 on Sydney Harbour on February 22. Launched in Auckland in December, P&O Cruises' Pacific Pearl is the latest addition to P&O Cruises' fleet, which now boasts a record four ships. The 63,500-tonne liner carries 1800 passengers and features a giant pool-side entertainment screen, P&O Cruises' largest ever teen centre and a swim-up bar. Pacific Pearl is also home to a range of great offerings that are popular across the fleet including Salt Grill by Luke Mangan and Aqua HealthSpaFitness centre. Welcoming Pacific Pearl to Sydney today, Ann Sherry, CEO of Carnival Australia, which operates P&O Cruises Australia, said the ship's debut reflected the growing popularity of cruising in Australia, with the local cruise industry experiencing annual double-digit growth for the past five years. "Not only is Australia becoming more popular on the international cruise map, but more Australians are taking to the seas for a cruise holiday," Ms Sherry said. Pacific Pearl's debut takes P&O Cruises' fleet to a record size with four ships carrying 8000 cruise passengers between them on any given day. 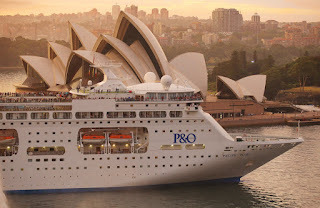 "During 2011 we expect to carry more than 300,000 Australians on P&O Cruises' holidays alone. That's more than twice the number we were carrying just two years ago, which just demonstrates the incredible popularity of cruise holidays," Ms Sherry said. Ms Sherry attributed the industry's growth to increased consumer awareness of the value for money offered by all-inclusive holidays as well as the wide range of ships and onboard features now available. Pacific Pearl joins Pacific Jewel, Pacific Dawn and Pacific Sun in the P&O Cruises fleet. A nine-night cruise onboard Pacific Pearl departing Sydney March 11, 2011 calling at Isle of Pines, Lifou, Noumea and Emerald Bay starts from $799 per person quad share.